Melissa Crowthers, Hilary Felinski, Fran Huffman, Linda Kapp, Nancy Mallein, Pat Meyers and Jane Wheeler were able to display some of their art during November, 2013. 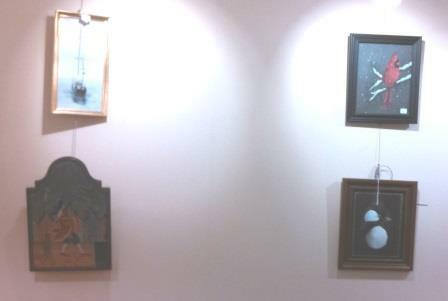 This display includes both hanging and standing pieces. The hanging art is in one of the main hallways, near the gift shop, while the standing art is in a curio cabinet just around the corner. This is our fourth opportunity to display our art, in the Village Commons. 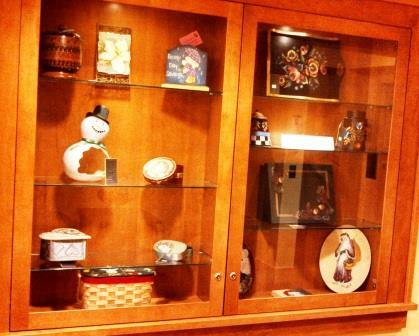 Unlike our displays in the community libraries, this opportunity also provides a chance for the residents and staff, at Messiah Village, to see how varied our art is. Several pieces have also been purchased. 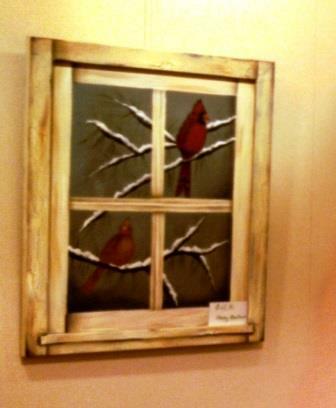 Penns Woods Painters donates 10% of any sales back to Messiah Village. Congrats, ladies, on a very nice display!